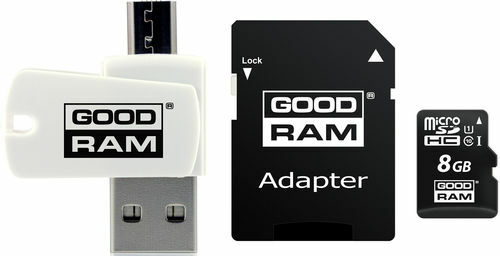 GOODRAM M1A4 All in One delivers versatility by providing functionality of few devices in one solution. M1A4 is a card reader with USB 2.0 and micro USB connectors. This enables you to move your data between PC, laptops, smartphones, tablets, digital cameras, drones and many others. M1A4 comes with UHS-I micro card.